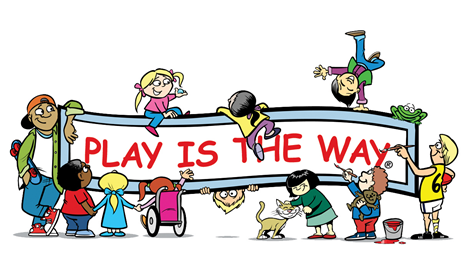 Tapping PS is proud to be a lighthouse school for the implementation of the “Play Is The Way” program. This philosophy is the cornerstone of our Behaviour Education and Self Management approach. We see BESM (Behaviour Education and Self Management) as a responsibility of the entire school community. Students, parents and teachers need to have a clear understanding of what is expected, in regards to how we treat each other, to ensure a welcoming learning environment that is supportive and safe. Our belief is that PLAY IS THE WAY™ program is the most effective way to achieve our objective of socially and emotionally competent children. Training students to be in control of their thoughts, feelings and actions allows them to harness their many and varied abilities and skills to pursue the abundant pathways to success in life. Creates a shared body of experience that is used to build relationships. Highlights the benefits of managing emotions and working together. Develops optimism and the ability to bounce back. Encourages self-motivation and the capacity to persevere. Initiates a process of self-awareness and discovery. Creates a positive tone and safe school culture.